Lala has lived an exciting life. Born in Poland just after World War One, Lala grew up to be a selfless and honest independent woman who survived some of the most turbulent events in Europe. As she falls prey to the first signs of dementia, she continues to tell the stories of her life to her grandson, who faithfully notes down her adventures. 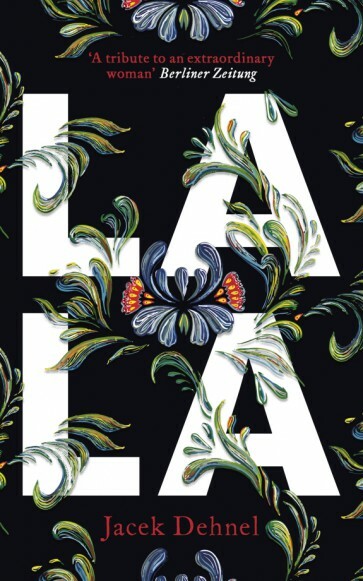 Lala was translated from Polish to English by Antonia Lloyd-Jones and I listened to the audiobook narrated by Lawrence Dobiesz which I would recommend. Lala as a book is a little confusing as it’s marked as a work of fiction but the way it’s told, and the fact the grandson who is narrating this story has the same first name as the author, did make me wonder if it was a combination of fact and fiction, memoir and fantasy. The scenes where it’s clear that Lala is losing her memory were both funny and poignant. My grandmother has Alzheimer’s and when reading about Lala’s antics I had to smile as there were so many things she said or did that was just like my gran. It’s a great depiction of a woman slowly losing her mind but then there’s also those moments of suddenly clarity which were lovely but also so sad as Lala was never going to get better. Lala is a grand sweeping story as Lala tells stories about her family as far back as her great-grandfather. This is where she would sometimes confuse something her grandfather did for something her father did, then it’s her grandson who corrects her as he’s heard so many of these stories before he could often recite them by heart. While Lala is the focus of the story, with her life before, during and after the Second World War is a big part of it, her stories of a family means this story spans over 100 years. This led me to learning a lot about Polish history that I’d never even heard of. I really enjoyed Lala. It’s an interesting insight into Poland’s turbulent history from he eyes of a character who lived through it all, the good and the bad. It’s funny, touching and sometimes verges on the ridiculous because of Lala’s outlandish stories about the situations she’d get into or she’d hear about. I loved the way it’s told with the grandson simultaneously seeming to tell the red the stories and to be hearing them for the first time himself. Lala is such an interesting book and it’s honest and realistic take of a woman slowly succumbing to dementia was brilliant yet sad. 5/5. This is great as I just finished my one book and was looking for another to read.. Thanks!